In 1900, when Georges de Latour's wife, Fernande, first laid eyes on the land that would become their original Rutherford vineyard, she named it "beau lieu," or "beautiful place." 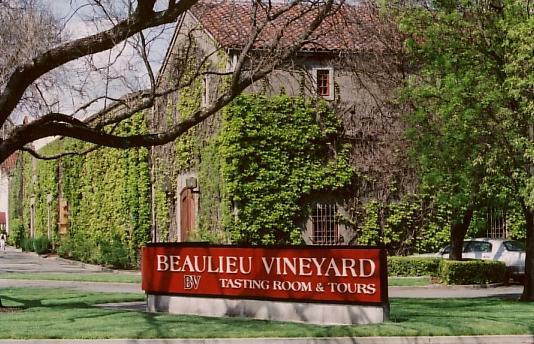 Shortly thereafter, de Latour sold his thriving cream of tartar business, bought the four-acre ranch and founded Beaulieu Vineyard with the vision of making Napa Valley wines that would rival those of his native France. In fact, during Prohibition the winery increased its business. After the repeal in 1933, de Latour began searching for someone who could contribute European winemaking expertise. In 1938, he traveled to France and returned with André Tchelistcheff, famed viticulturist and enologist who instituted the philosophy of continuous innovation in vineyard and winery to which we remain dedicated today. Tchelistcheff introduced cold fermentation for white wines, malolactic fermentation for reds and aging red wines in small, French oak barrels. He also tasted the de Latour family's private wine-what they called "Private Reserve"-from the 1936 vintage. This Cabernet Sauvignon-based wine was so distinctive that Tchelistcheff insisted it be bottled and sold as the winery's flagship offering. The result was the inaugural release of Georges de Latour Private Reserve Cabernet Sauvignon, a wine that was destined to become Napa Valley's first "cult" Cabernet. Today we continue to turn to innovative practices to craft wines in our bold, classic style. We have become a leader in clonal research, and our BV Clone Reserve Cabernet Sauvignon wines are highly acclaimed. Most recently we completed a new state-of-the-art winery within one of our original buildings. The Georges de Latour Private Reserve Winery utilizes the latest technology in combination with time-honored traditions for the production of this exceptional, wine-the longtime benchmark of Rutherford Cabernet. Wine Spectator 91 "Blends ripe, fleshy plum and black cherry flavors with a subtle backbone of acidity and tannins. Slow to unfold, but does so gracefully, revealing dusty earth, cedar and black licorice in an elegant style. Cabernet Sauvignon, Merlot, Cabernet Franc, Malbec and Petit Verdot."